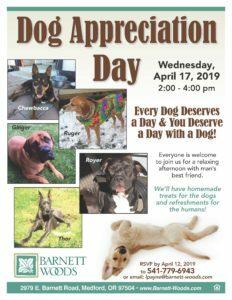 Everyone is welcome to join us for a relaxing afternoon with man’s best friend at our Dog Appreciation Day. 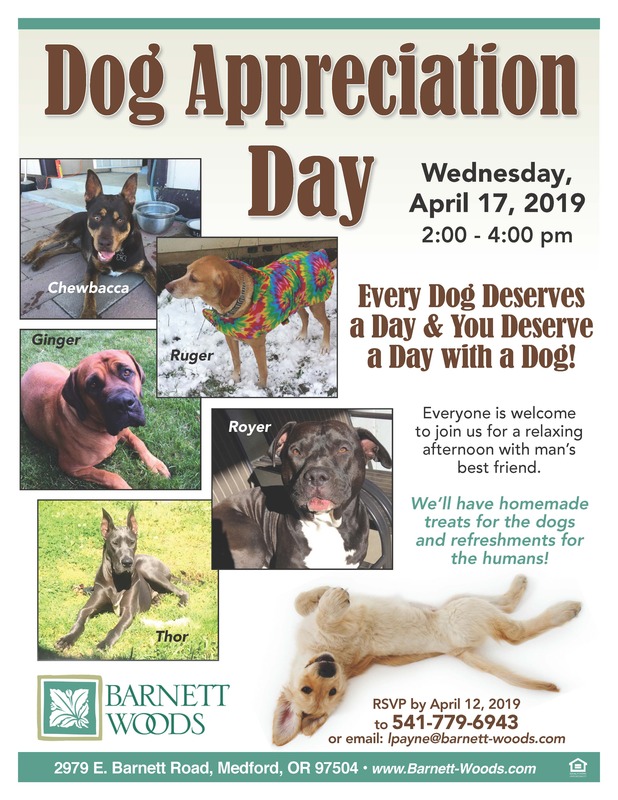 Every Dog Deserves a Day & You Deserve a Day with a Dog! We’ll have homemade treats for the dogs and refreshments for the humans!